Is it a plain bandana, or is it sprayed with something? 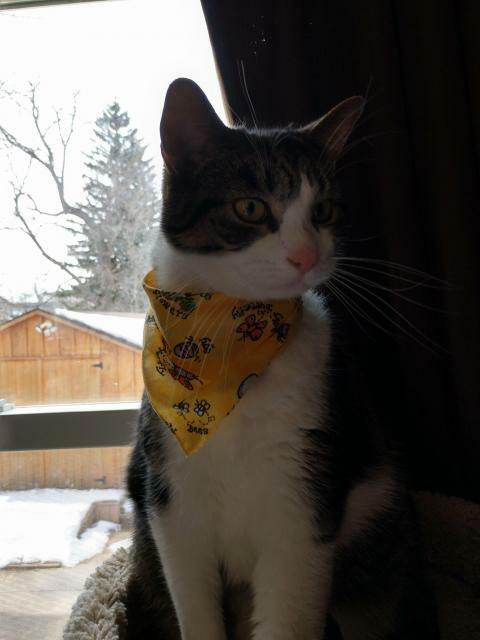 Sometimes when I take a ride to the farm or somewhere, he puts some feliway on the bandana so I wear it and feel a litttle calmer. Sometimes I take it off, too.